As a final note,,,,,,MICHIGAN STATE IS RATED #2 in College Basketball this year. Ironic. 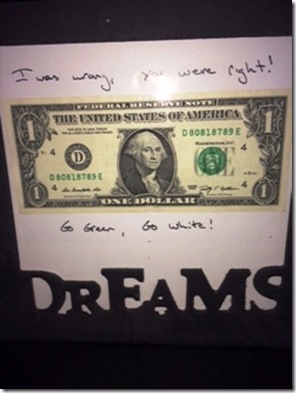 The dollar is green and white, matching the little rhyme. Add a WSOP title to Sparty Nation! The Nation is HOT right now… How cool was it hearing the Go Green! 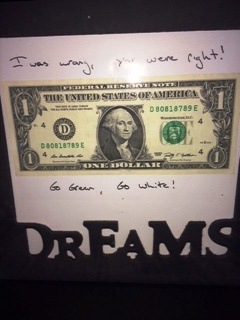 Go White! chant in the middle of the worlds biggest poker game… Good stuff!… I want to see this Sparty D up against OSU…. See you in Indy Luckeyes!… Then it’s off to see you Mike… The Nation is comin to invade Pasadena! Can almost smell the roses… Riess The Beast! SPARTY ON YA’LL! !